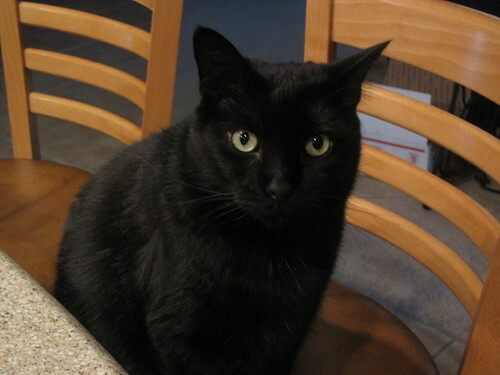 What a great holiday….but not always the best day to go out to dinner. Especially this year. It’s Monday. Geez, the week just got started. So, I’m offering some recipes that we’ve featured on Idiot’s Kitchen that you might have forgotten, missed, or never tried that will TOTALLY make your Valentine swoon. The good thing is that all of these dishes are easy to make and take regular old ingredients from the store. If you didn’t have time to plan ahead, you can stop on the way home, pick up a few items and have dinner for your Sweetie on the table in no time. 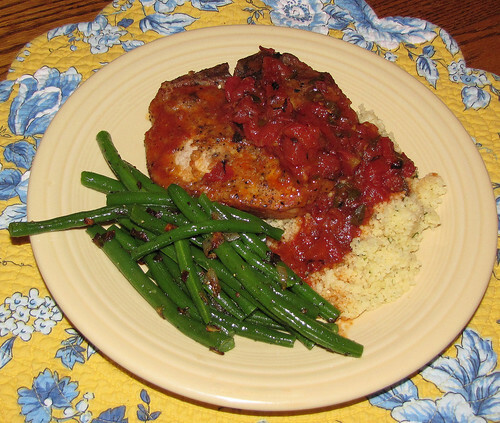 Pork Chops with Tomatoes & Sage — The tomatoes make a lovely red sauce. Very Valentiney. Also very easy and very tasty. Cooks in one hour…no constant stirring, chopping or fussing around just put it in the pot and go drink champagne while it cooks. 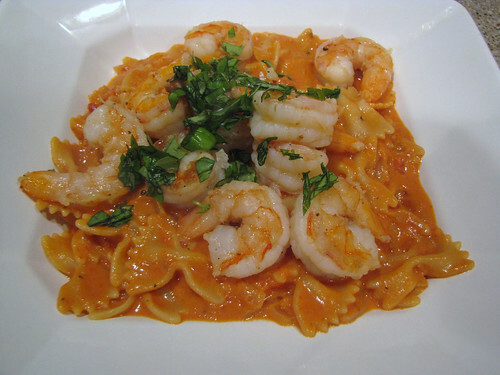 Pasta alla Vodka Sauce with Shrimp – So velvety, so lovely, so quick and easy. Seriously, the sauce cooks in 20 minutes. Plenty of time left for smooching with your sweetie. Want something totally casual for dinner? 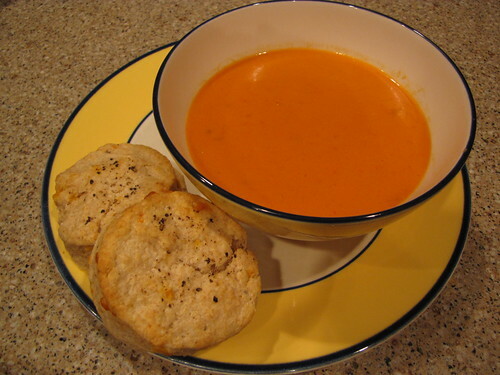 Creamy Roasted Tomato Soup Add a nice green salad and you’ve got a great way to warm up your Valentine. A couple of chocolate covered strawberries for dessert wouldn’t hurt either! 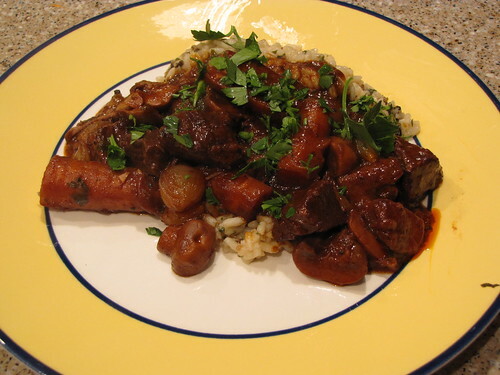 Cabernet Beef Stew will knock the socks off your Valentine. What happens after the socks are off is up to you. 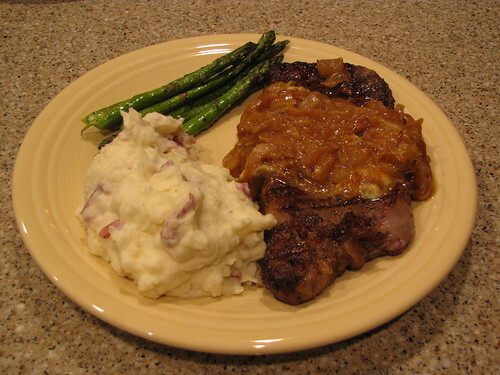 If your grill isn’t snowed in, you could totally make Steaks with Caramelized Onions and Blue Cheese Sauce. After all, the way to a man’s heart…or a Girl from Kansas City’s heart for that matter is through a good steak! 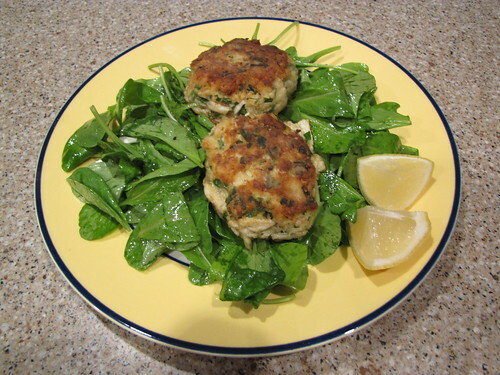 I would totally be your Valentine if you made me these delicious Crab Cakes. Celebrate Valentine’s Day with dinner with the ones you love.